(RFE/RL) The deputy head of the EU monitoring team on the Transdniestrian border with Ukraine, Antti Hartikainen, says his mission has detected only "minor" smuggling since it was launched late last year. The European Union initiated the two-year project to stem suspected arms smuggling, trafficking, and customs fraud. However, Hartikainen said that the mission's five teams, each made up of between nine and 15 EU experts, have mostly found evidence only of small-scale, domestic infringements. 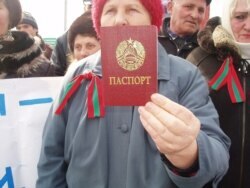 But he also said that suspicions remain that Moldova's breakaway Transdniester Republic is a hub of major customs fraud. He explained why in an interview with RFE/RL on April 7. RFE/RL: When the EU commissioner for external relations, Benita Ferrero-Waldner, launched the border-monitoring mission, she said that one thing it can deliver is "first-hand information of what is really going on" on the Transdniestrian-Ukrainian border. What have you found? Hartikainen: We have been now monitoring [for] four months and we now have our initial opinion of what is going on there. We have found that there are some illegal activities on the green border [between the crossing points] and also via border crossing points, but nothing very large-scale. RFE/RL: Could you give some examples of what you've found? Hartikainen: For example, we found during wintertime when there was snow on the ground, we saw, for example tracks, crossing the border, and there was sometimes tracks [indicating] somebody had crossed the border by foot, but also vehicle tracks, sometimes. And we of course know that local authorities when they have intensified their activities they have also detected smuggling cases; for example, involving the smuggling of chicken meat. RFE/RL: So, basically, you have found foodstuffs and goods of local significance being smuggled? Hartikainen: Yes, what we have now seen here that these local people they are quite often crossing the border for household purposes. They might come out on the other side of the border, for example, to pick up some materials, or maybe they just want to take a shortcut to get some services from the other side of the border. It seems that the border regime is quite free. RFE/RL: A Transdniestrian woman shows her passport at a demonstration against the new customs regime at the Ukrainian border on March 20 (RFE/RL) What about drugs or arms? Hartikainen: We have detected only a couple of drugs seizures until now, and what we have been informed about by local counterparts is not large-scale. Regarding weapons, we have got information from local counterparts about some very, very minor cases -- actually some cartridges or small weapons -- but nothing significant." RFE/RL: And the drug seizures, were they also minor? Hartikainen: Quite minor, as [of] now I can recall two or three cases, something like 10 kilos of marijuana. It's not a very big case. RFE/RL: Last autumn, Ukrainian and EU officials suggested there was large-scale customs fraud going on between Ukraine and Transdniester. Is this something you've come across? Hartikainen: We have detected one very interesting case, or issue, that huge amounts of chicken meat is imported via [the] Odessa port to Transdniester. Starting from last November, they have already imported to Transdniester almost 40,000 tons of chicken meat, and this means that it [come to] 67 kilograms per person living in Transdniester, including all the babies. Then we counted that in Europe [the] average consumption per person is normally a little bit more than 10 kilos a year. And of course we made [the] conclusion that there might be something illegal behind these import activities. 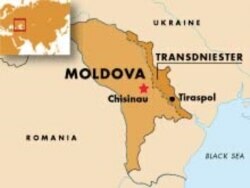 We suspect that they are smuggling at least part of this meat out of Transdniester back to Ukraine and Moldova. RFE/RL: Ferrero-Waldner has said that one of the aims of the mission is to try and reduce the revenue from smuggling going into the coffers of the Transdniestrian regime. Can you say if your presence has had any effect it this regard? Hartikainen: Of course, we already know that our presence has [made] smuggling more of course difficult, it's a fact. But otherwise it is very hard to say what kind of influence we've had on the Transdniestrian economy at the moment. But one issue is the reality that it is quite much to do with our presence here that the Ukrainian and Moldovan authorities started to implement a joint declaration [allowing Transdniester to only export goods cleared by customs authorities in Chisinau] in March. Later in the interview, Hartikainen said that the initial refusal of the Transdniestrian authorities to permit any exports has been partially reversed since March 16. However, he added that Transdniester continues to block all road and rail transit through its territory. Hartikainen says the EU mission plays no part in enforcing the Ukrainian-Moldovan declaration, but does provide technical assistance.